Apartment Vape can be found in the small town of Mala Skala. 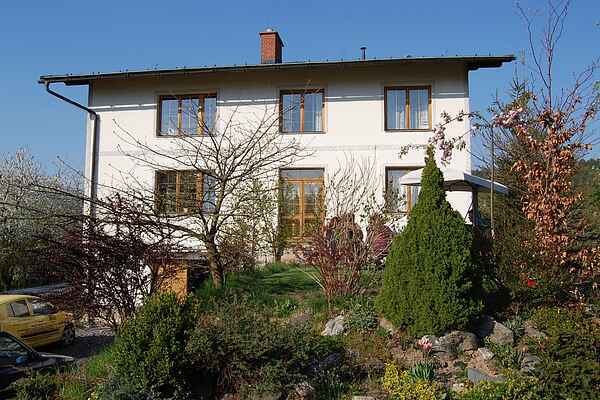 The building has four apartments and is quietly located just 600 m from the 'Jizera' river. You have stunning views of the Pantheon rock formation of Mala Skala. Your holiday home on the 1st floor is new and fully furnished. You have a communal swimming pool and a private garden set. In the surrounding area, many cycling paths lead you to the various attractions, including the castles of Frydstejn and Hruby Rohozec, the Dolomite valleys, and the Bohemian Paradise. There are many hiking trails through this vast sandstone plateau. These lead you through meadows, pine forests, lakes, and jagged and bizarre rock formations, including the Krakonos (Mountain Giant) and Certova Kuchyne (Devil's Kitchen). A true journey of discovery.